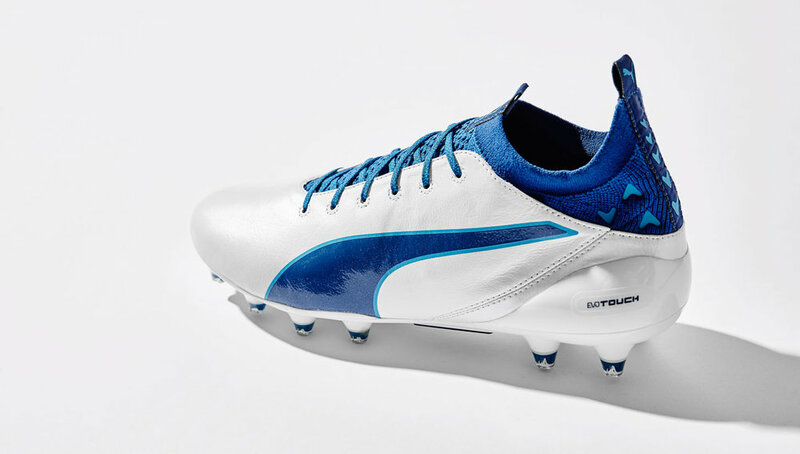 PUMA make it a hi-top five with their fifth colourway to land on the evoTOUCH Pro silo. Sticking to their clean concept, it's another crowd-pleasing wrap that's sure to increase the uptake of the brand's first venture into the collared game. 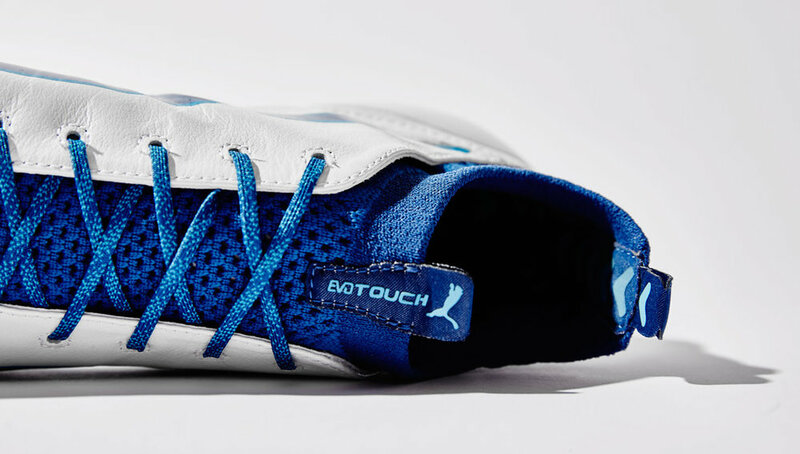 The "White/Blue" drop follows the recent minimal "White/Orange" and "Black/Orange" designs and will replace the launch edition on pitch from this weekend, with evoTouch players including Cesc Fabregas and Marco Veratti expected to switch into the update. The next generation of PUMA Football has been a bit of a slow burner since its arrival in July but that's because PUMA haven't forced it down our throats. The brand have dressed it in sensible colourways and let it slowly grow on players, and it's working. 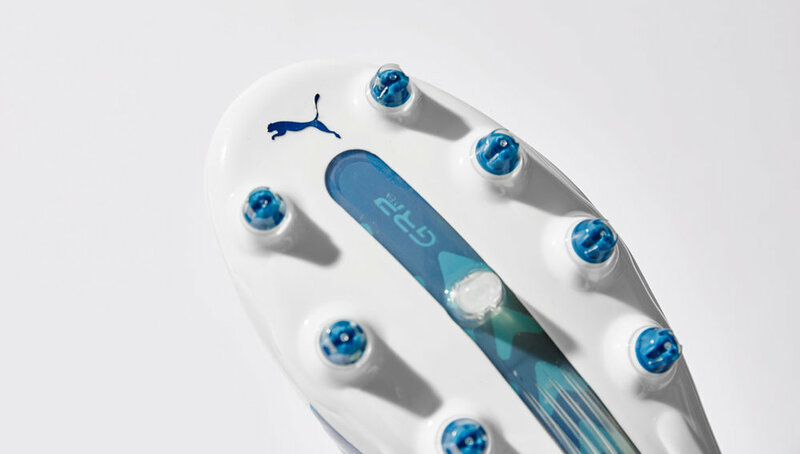 Speed and power were joined by control as PUMA launched their all-new evoTOUCH silo, built with a hi-collared evoKNIT material to land as the brand's latest innovation and it's begun to play a more prominent role in the Big Cat's line-up, as well as marking a turning point in design for the brand. PUMA weren't the first brand to jump on the hi-collared bandwagon, they won't be the last either, but by widening their reach, PUMA now have a three-strong collection of elite level boots that cover all bases.